Picking the winner of a race is how you make money betting on horses. No matter which bet you like to play—win, place, show, exacta, trifecta, superfecta, or the Pick 6 – you must learn how to identify which horse has the best chance of winning a given race. A lot of different elements go into handicapping, and EZ Horse Betting has a many systems and methods you can explore, but to begin you need to focus on four basic factors that will help you pick a winner. Every race, whether it is a race between humans, dogs, horses, or even Nascar drivers, is first and foremost about speed. Who is fastest? There are other factors to consider, but your first order of business should always be to identify the fastest horses in a race. Thankfully, there is an easy way to do this. To pick a winning horse we must first consult the past performances of every horse in the race. Past performances are provided by services like the Daily Racing Form or Equibase and many online racebooks will provide them to you for free. In a past performance you will be able to look at detailed information from a horse’s previous races. One piece of this information is called the speed figure. The above image is the past performance information for the legendary Secretariat. The speed figures earned by Secretariat are circled in red. You will notice that Secretariat’s speed figure from the Belmont Stakes is highlighted. A 113! Secretariat won the Belmont Stakes by more than 30 lengths, an accomplishment that may never be repeated. A speed figure puts a precise number on how fast a horse ran on a given day. This simplifies the handicapping process. Speed figures aren’t perfect. You should never use them as the only method of picking a winner. However, you should always check the speed figures of every horse in the race today to see who ran fastest in their last race. The higher the number, the faster they ran. The next factor you want to consider is form. Is a horse in shape and fit enough to win today? Our best method for determining that is by once again looking at the recent races of each horse. Here are some past performances for the horse Danny’s Friend. The highlighted section tells you what position Danny’s Friend finished in his last race. As you can see, in his last race Danny’s Friend finished third. In the race before that he finished 8th. Three races ago he won. When looking at a horse’s form what you really want to see are recent finishes “on the board.” This means that a horse finished 1st, 2nd, 3rd, or 4th. If the horse is finishing in the top four of his recent races, this is often a good indicator that he is in shape and fit enough to race today. Once again, do not use form as a single handicapping factor. You must combine this information with speed figures and other data. You’ll also soon learn how to read between the lines to better determine form by considering workouts and layoffs, but for now this is the basic information you need to assess form. A maiden race only includes horses that have never won a race. A claiming race is a race in which each horse in the race is for sale. Anyone—even you!—can purchase the horse today for the claiming price. An allowance race is for more talented horses that are not for sale today. This means the owner and trainers think highly enough of them to want to keep them in their stable. Finally, a stakes race is for the most talented horses on the racetrack. Only the best run in stakes races. Within each of these divisions there are also subdivisions which are identified by price. The higher the price, the harder the race. As you can see, Danny’s Friend last raced in a $35,000 allowance race and finished 3rd. Before that he raced in a $37,000 conditioned allowance race for horses that have not won an allowance race this year. And before that, Danny’s Friend won a $16,000 allowance race. So, how do we determine the appropriate race for Danny’s Friend? We simply look at the last race he won. Therefore, we can assume Danny’s Friend will be competitive in allowance races for $16,000 or less. Notice what happened when Danny’s Friend “climbed the ladder” and tried to race for $35k and $37k. He was beaten. It is likely that those races were simply too hard for Danny’s Friend. If the race today is at the $16k level (something you will see at the very top of the racing form or racing program), Danny’s Friend might just win again! As with the other factors, you will need more than this basic information to become an expert handicapper. But, for now, you have enough information to get a general idea of whether or not the horse you want to bet on is in the right spot today. Last but not least, you need to have a basic understanding of pace and a horse’s running style. Let’s look at our old friend, Danny’s Friend, one more time! The highlighted area on the past performance is called the running line. This tells you where Danny’s Friend was at during each stage of his last race. As you can see, he started his last race in 6th place and remained there for over half of the race. In the stretch, Danny’s Friend improved to 4th place as he tried to pass horses. Unfortunately, Danny’s Friend just couldn’t beat these better horses and finished 3rd. Now, this is exciting! Take a look at the third race back, the one Danny’s Friend won for $16k when he was racing against horses of his own talent level. You will see that, once again, he started in 6th place. And once again he moved up to 4th place later in the race. But this time, in the stretch, Danny’s Friend surged up to 2nd place and went on to win by an impressive five lengths. What can we learn about pace from this information? First of all, Danny’s Friend is a “stalker” or “pace presser.” This means that he paces himself by staying just behind the leaders during the early part of the race and then picks up speed near the end. These horses are exciting to watch! Some horses are called “late runners” or “deep closers.” These horses also lay back early and run toward the end, but it is not uncommon for a deep closer to be dead last for more than half of the race. Like Danny’s Friend, they are exciting to watch, but they do not win many races. Lastly, a “front runner” is a horse that takes the lead from the very beginning and tries to stay there until then end. It takes a very special animal to take a race coast-to-coast and win in front-running fashion. What you need to understand about pace at this point is pretty simple. You need to be able to identify the different types of running styles for each horse in the race. By doing this, you will be better able to envision where each horse will be during the race. If there are two front-runners in the field, they may duel for the lead and tire one another out. This increases the chances of a pace presser like Danny’s Friend. If you see that there is only one horse in the race with a front-running style AND that horse has an inside post position (meaning he is horse number 1, 2, or 3), bet this horse to win! It is very possible that he will be unchallenged on the lead and go wire-to wire! 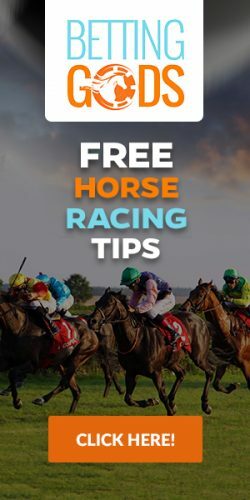 Many horses get brave when they have the lead and are unchallenged and this Pro Play will help you pick longshots that put cash in your pocket!